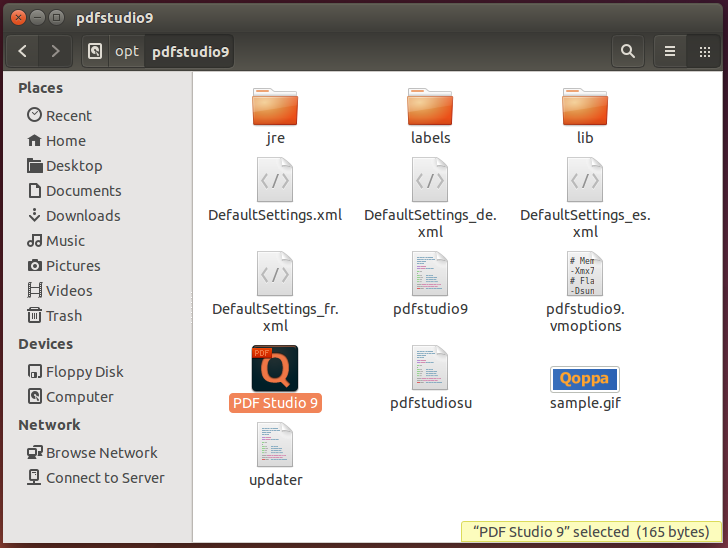 Q: I installed PDF Studio on my Ubuntu/Linux machine and there was no shortcut created. How do I create a shortcut? 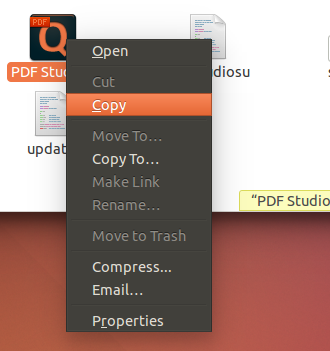 A: When installing PDF Studio on a Linux machine, depending on the version of Linux and what type of distribution that you have the shortcut may not always be created. You can create a shortcut by locating the installation folder and copying the PDF Studio launcher to wherever you would like the shortcut to be. The steps to complete this process are listed below. 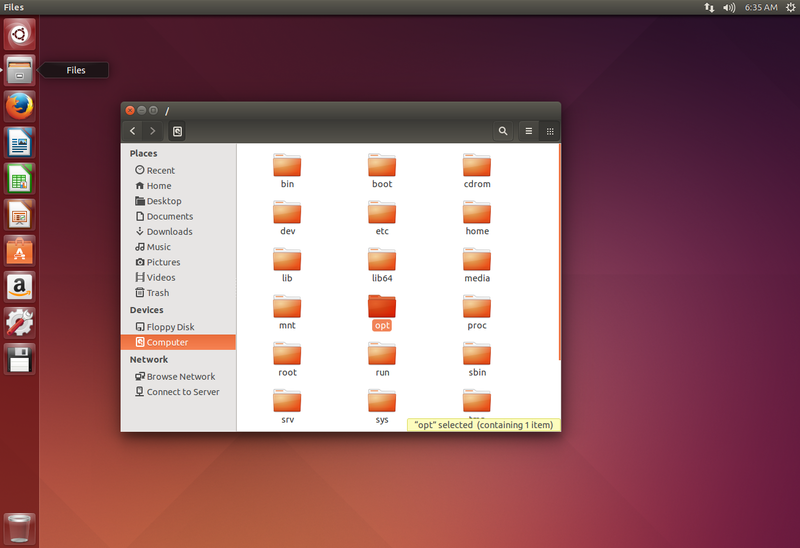 *The Opt folder is usually the default but depending on your Linux version or distribution it may be located in another folder. You can perform a search to locate the pdfstudio installation folder by using the search tool on your system.